Fresh freestanding bath / wash basin mixer tap is chrome on solid brass. 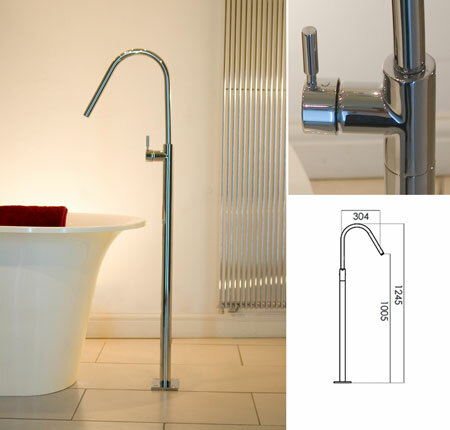 Each bath / basin mixing tap has a single lever tap control for easy mixing of the hot and cold water. This floor mounted tap can be used on low or high pressure water systems when used as a washbasins filler, but a minimum of 1bar (approx 13 litres/min) is required when used as a bath filler. * Italian mixer tap design. * Chrome on solid brass.